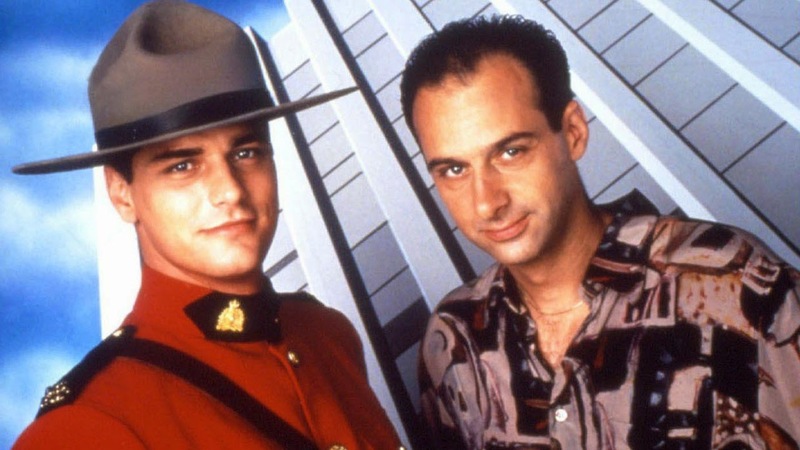 Due South is proof that a silly premise, in this case Mountie solves crimes in Chicago with loud mouth American detective, can still result in great television. It also helps if you have a very catchy theme tune. Created by Paul Haggis, Due South started life as a TV movie in 1993 for CTV in Canada and CBS in the United States. After getting higher than expected ratings a full series was later commissioned. Despite being a hit in both Canada and Britain, the series struggled in America and was cancelled by CBS at the end of the first season. The show's popularity in its home country and abroad enabled the production company to get a second season commissioned, but once again the series struggled to find an American audience and was once again cancelled by CBS. 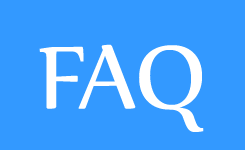 Luckily for fans, CTV was able to secure intentional investments to produce two further seasons between 1997-1999, each consisting of 13 episodes each. The series centres around Benton Fraser (Paul Gross), a constable with the Royal Canadian Mounted Police. He first comes to Chicago on the trail of the killers of his father and, for reasons which don't need exploring at this juncture, remained, attached as liaison to the Canadian consulate. In his spare time (which he seems to have plenty of) he helps local cop Ray Vecchio (David Marciano) to solve crimes. Fraser is a throwback to another era. He's a through and through do-gooder, basically Superman without the superpowers. He's polite, well-mannered, almost annoyingly helpful, has an encyclopaedic knowledge of everything and obeys the law to the letter. He easily could’ve ended up being an insufferable dullard were it not for Paul Gross’ incredibly likeable and layered performance. Ray is Fraser's opposite. Loud, brash, and often willing to bend or break the rules to solve a case. In the first season he had a tendency to wear very garish, very 90s clothes, contrasting with Fraser's immaculate uniforms. Thankfully, he started to wear designer suits towards the end of the season. The duo's chalk and cheese relationship, as well as the differences between Canadians and Americans, is at the heart of the show and the source of much of the series' humour. During the first season Fraser and Ray were regularly aided in their sleuthing by Ray's colleagues in the Chicago PD and Fraser's deaf wolf, Diefenbaker, who would often run off and have little adventures of his own. From the second season onwards, Fraser's boss at the Canadian consulate, Inspector Margaret Thatcher (no, not that one), and subordinate, the incompetent Constable Turnbull, became recurring characters. But the most unexpected addition to the cast was that of Fraser's dead father. At first it seemed that Bob Fraser, like Ray's dead dad, was merely a figment of his son's imagination, but as the series went on, and more and more characters interacted with him (including his BFF Leslie Nelson), it became evident that Benton really was talking to the ghost of his late father. After a contract dispute with the show's production company, Marciano didn't return to the series for the final two seasons. He was replaced by Callum Keith Rennie as... Det. Ray Vecchio? Don't worry, the producers didn't Darren Stephens Ray, although they had a lot of fun making us think they did. The new Ray was actually Stanley Raymond Kawolski (his dad had a thing for Brando) and he became Fraser's new partner after the real Ray was sent undercover with the mob. 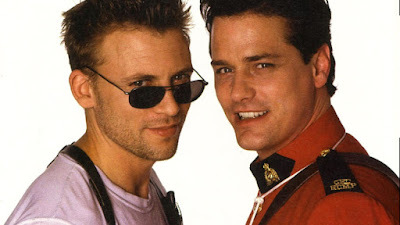 Replacing one half of a winning double act is always a risky venture, but Due South managed to pull it off with the Gross and Rennie pairing becoming a fan favourite. Haggis left the show during season two and the writing for the remaining seasons wasn't as strong as it had been during the first season. Paul Gross began to exert more creative control over the series which resulted in Fraser becoming increasingly superhuman (and irresistible to women). The show also became less and less like a serious crime drama with some funny bits and more and more lighthearted and surreal comedy. It never descended into all out farce but it came pretty close sometimes. Due South came to a final end with the two-part story 'Call of the Wild' which saw Benton set out to catch the man who murdered his mother. Marciano returned as the real Ray for the finale, but his appearance is little more than a cameo. It was a satisfying, if unremarkable, end to the series, that managed to give every character their own little happy ending. 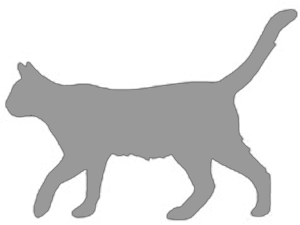 Bob Fraser returned to the afterlife to be reunited with his wife after finally bringing her killer to justice, Ray got married and settled down (with faux Ray's ex-wife), and Benton and faux Ray set off together to find the Northwest Passage. How fitting that Due South ended by having its heroes seeking out new adventure by journeying north. Four out of four deaf wolves. I've heard of this series but never seen it and was never quite sure what it was about. Now I know. Thanks, Mark. 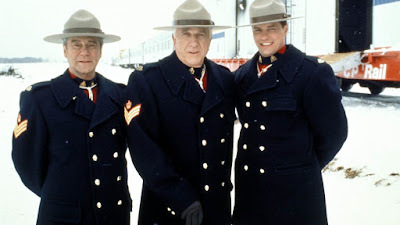 I remember seeing a preview of Due South during the promotion leading up to the new tv season that year and thinking that it was likely to be very stupid and silly. For whatever reason, I watched it, regardless, and became instantly hooked. (It could definitely get silly, but I don't think I would call it stupid.) I watched it through to the end and eventually got the series dvds. I feel like breaking them out and rewatching the show, but I'm already behind on my watch list for newer shows I haven't seen, yet (though I just ticked Altered Carbon off my list). I watched Slings and Arrows because of Paul Gross, and really enjoyed that, and there was another show Callum Keith Rennie was in that I watched after Due South, but I can't remember what it's called right now. He's definitely popped up in other shows I've watched, though. 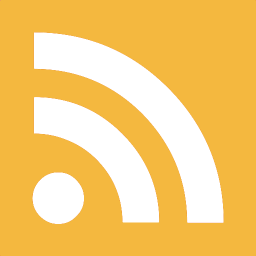 Lovely writeup. I came to Due South after seeing Gross on the now-forgotten Eastwick. I adore this funny little show so much. Rennie is everywhere isn't he? Must also mention Ray V's sister Franscesca with her creepy crush on poor Fraser. Leslie Nielsen! So good. Well to be fair Fraser is catnip to the ladies and Gross is a charmer so i find it credible. He wears that uniform very well. I watched this show while it was on CBS and I caught the last two seasons on CTV when my Cable server had it in their system. I remember WTFing when they pulled the switcheroo with Ray. I honestly thought I was the only person who liked the show, although with four seasons, that seems a little self-centered.